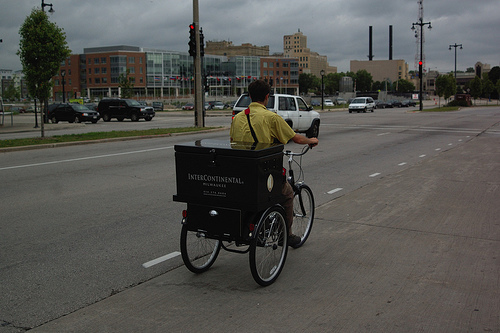 Boaz stopped by Milwaukee, and after his stay at The Pfister Hotel he managed to meet up with Dana, our Public Relations Specialist, and got to ride the InterContinental Delivery Tricycle we recently designed. We’re please to be hosting the June 2009 Milwaukee Strobist Meetup here at Z2. 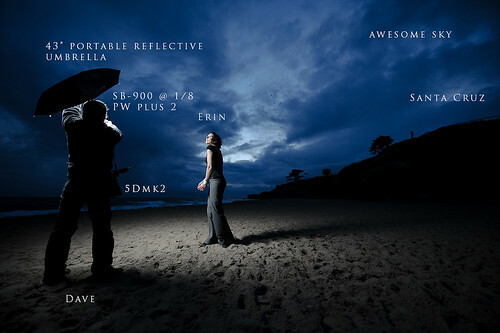 If you are unfamiliar with the strobist techniques, you should check out strobist.blogspot.com. The basic idea is using off-camera flash with your DSLR camera to take your photos to the next level. (Or the next ten levels.) Small, inexpensive speedlights (which typically mount on top of the camera) are used on lightstands, or placed on the ground, or held by an assistant, to get some pretty amazing lighting effects. 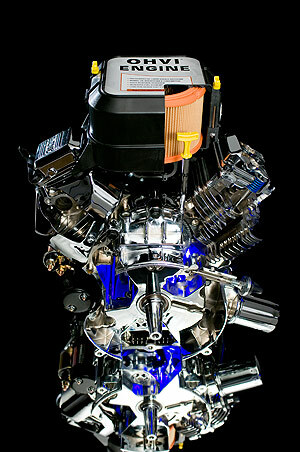 Chrome Engine by Generac. Shooting Chrome is always a challenge. Last week I was given two engines to shoot. The direction was simple: we need a cool shot straight on. With lots of cleaning, lots of white boards and NO Photoshop work… this is what I came up with. It was a fun one. Oh yeah, there’s also a mirror involved.